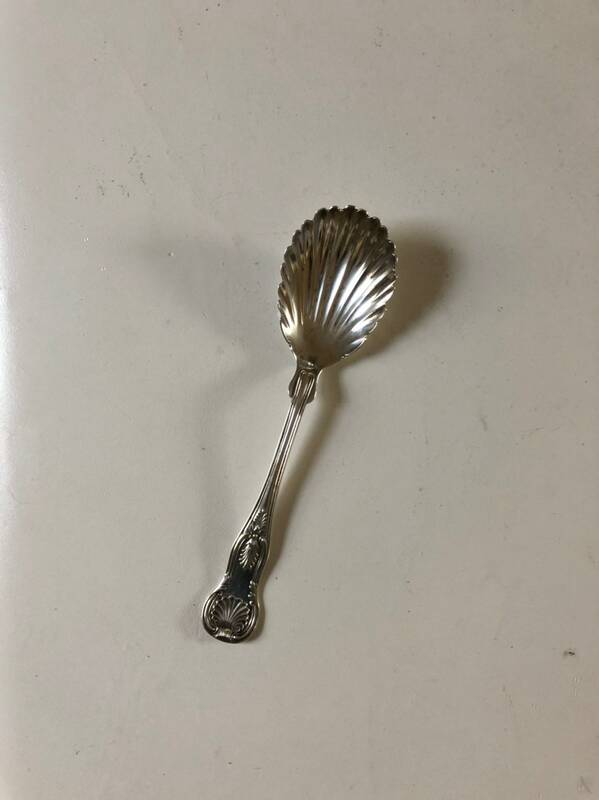 Offered is a ca. 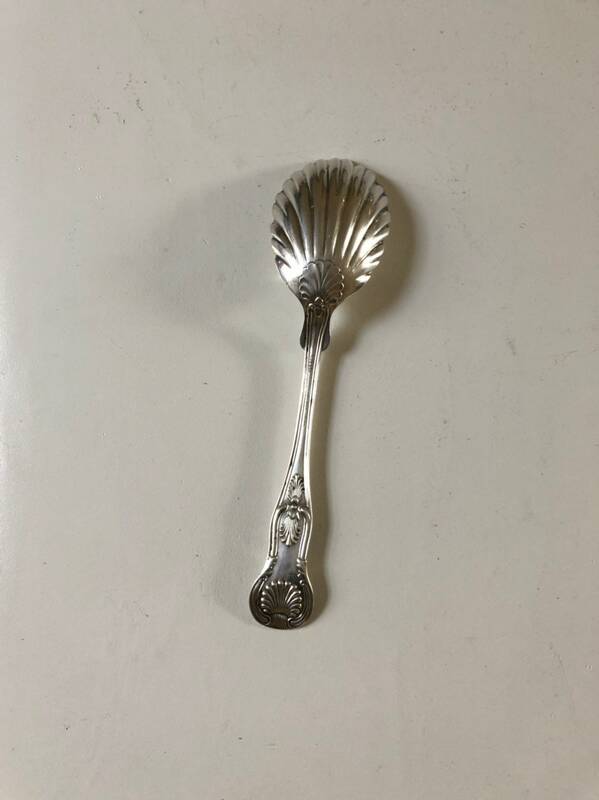 1840-50 Philadelphia coin silver shell and thread pattern berry spoon. 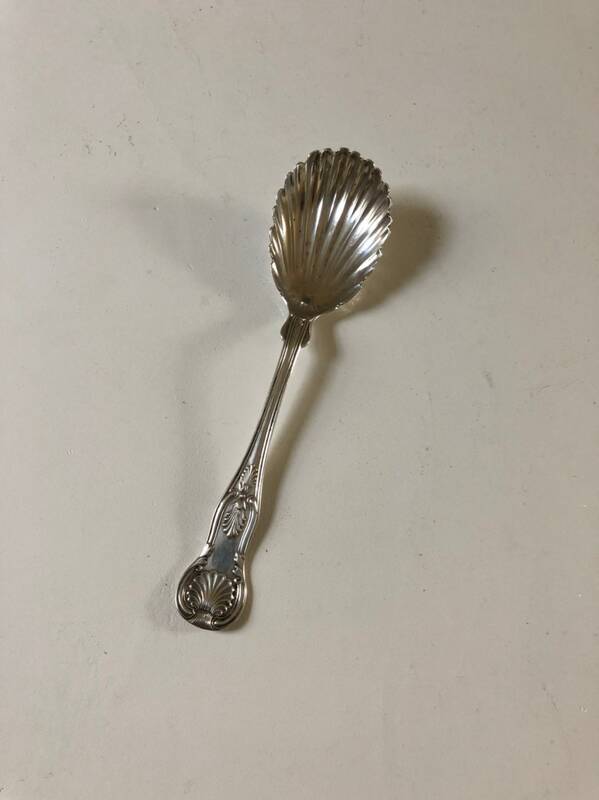 With its graceful handle and slightly upturned terminus, this spoon is extraordinary. 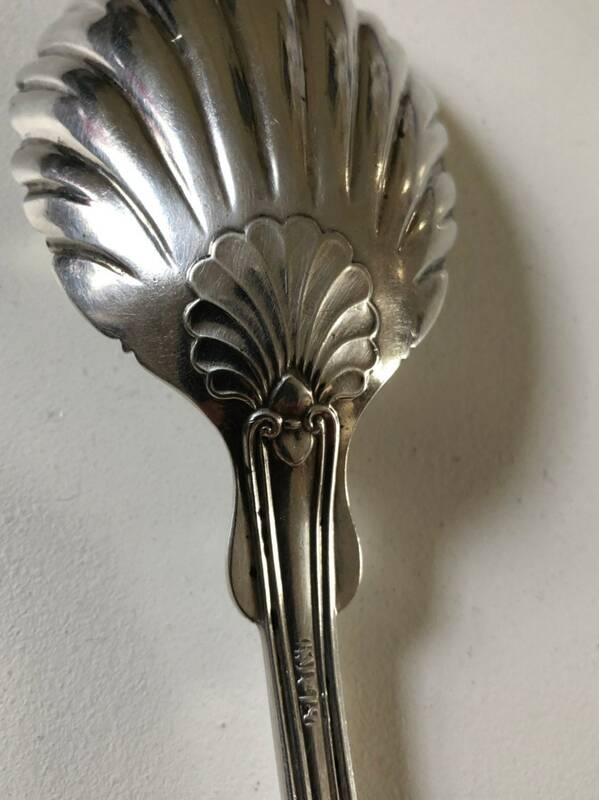 The spoon is marked for well known philadelphia makers and bears their thistle, harp, and eagle marks (one born in Scotland and the other partner in Ireland). 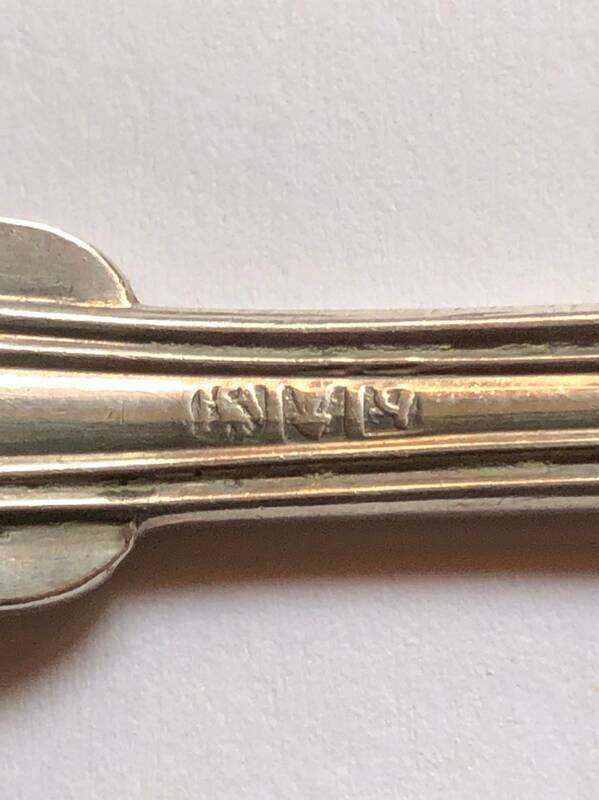 The spoon has no monogram. 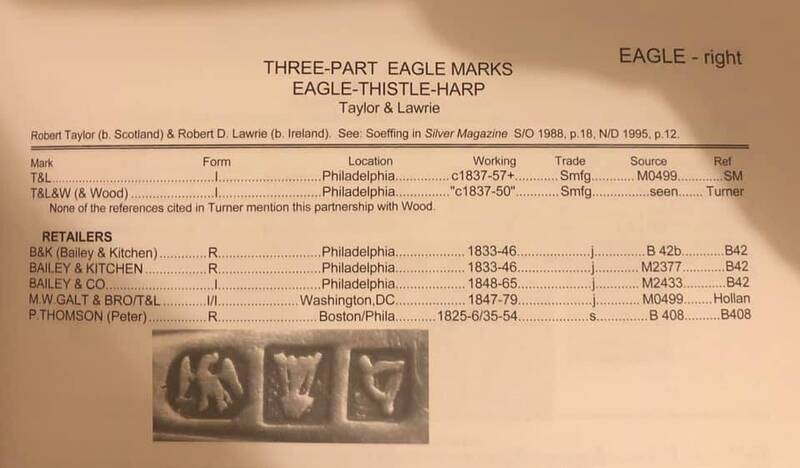 Overall, this is a useful and hard to find piece, especially with the early Philadelphia provenance. 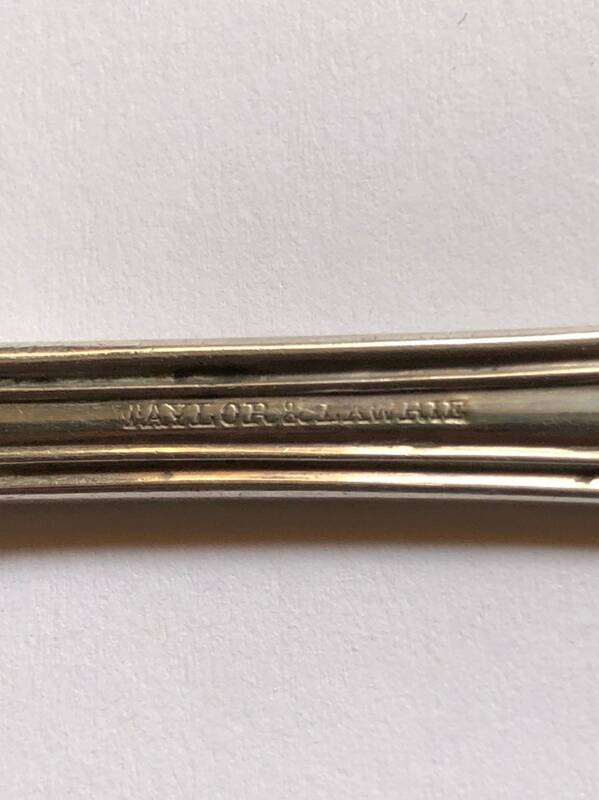 Condition is outstanding with no noted flaws. 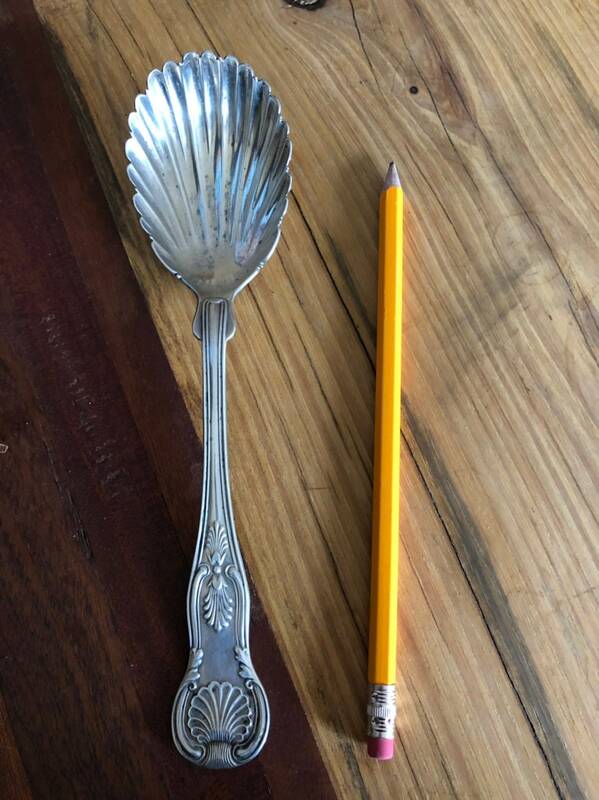 Use it as a berry spoon, or for serving at the table. 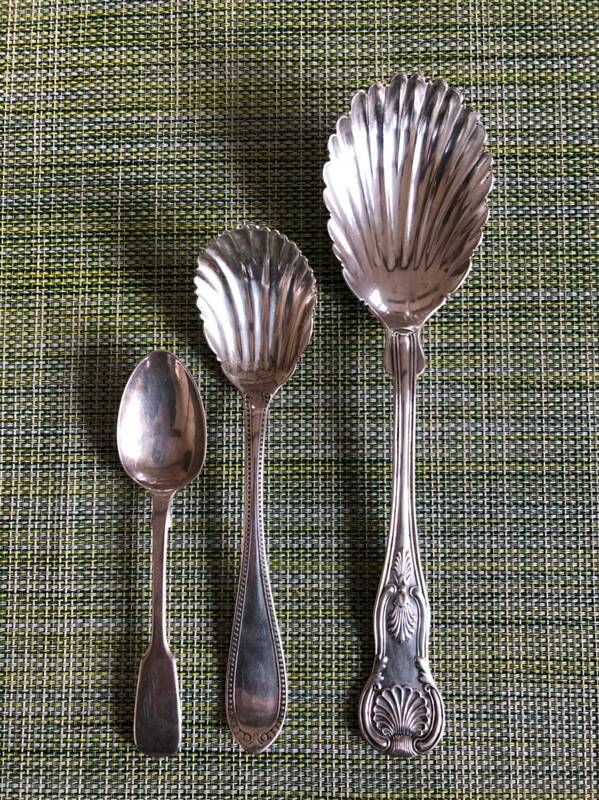 Note the photo with a teaspoon and a sugar spoon for scale (other spoons sold separately). 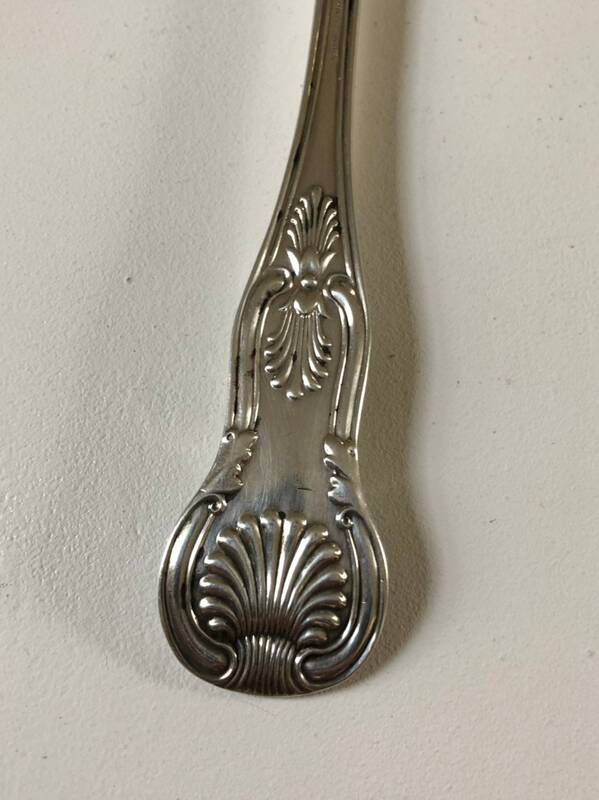 This handsome spoon is a little bit more than 9" long and weighs 76.5 grams.